And thank you for visiting. My average rate of visitors is about 7 to 15 per day. 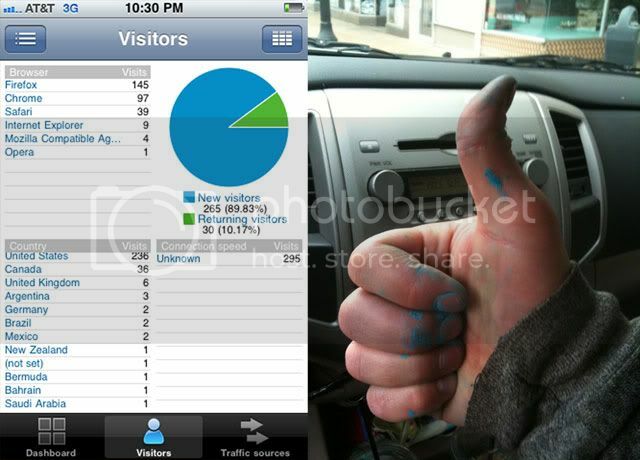 Not sure what happened yesterday, but my silk screen post received 265 new visitors in 30 minutes. Thanks to whoever dropped it on stubleupon.com. I guess this means I should start proof reading my blog entries. I usually do this when I have a few minutes of downtime, and wind up with a blogpost constructed by a five year old.